Get organized for Good Using the Power of Routine and Rhythm. Create a strong daily routine to increase productivity and help you get things done. Follow daily, weekly, and household rhythms to get organized, stay organized, and help your children thrive! What is a Routine or Rhythm and How Does it Work? 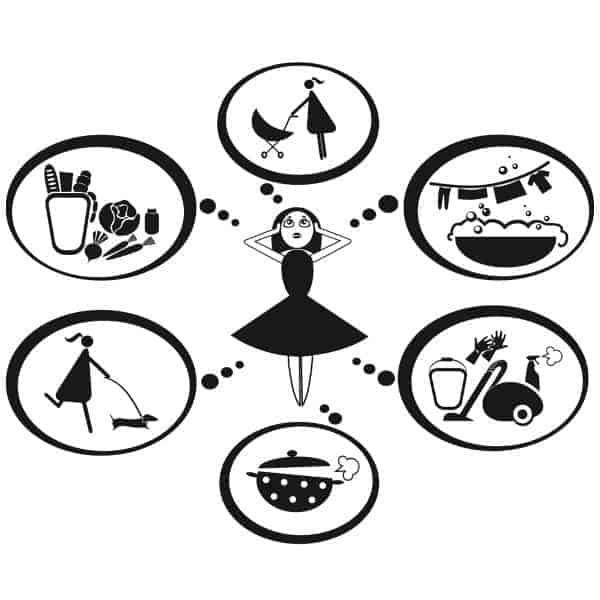 A rhythm is a flexible form of time management that directs the basic order of your daily routines and tasks. It is a lot like a schedule without the rigidity. Daily and weekly rhythms and routines also make family life easier. Children are much more able to handle the transitions and happenings of daily life when they become normalized. Without structure, chaos reigns and overwhelm rules your world. Believe me, I know… I’ve been there. 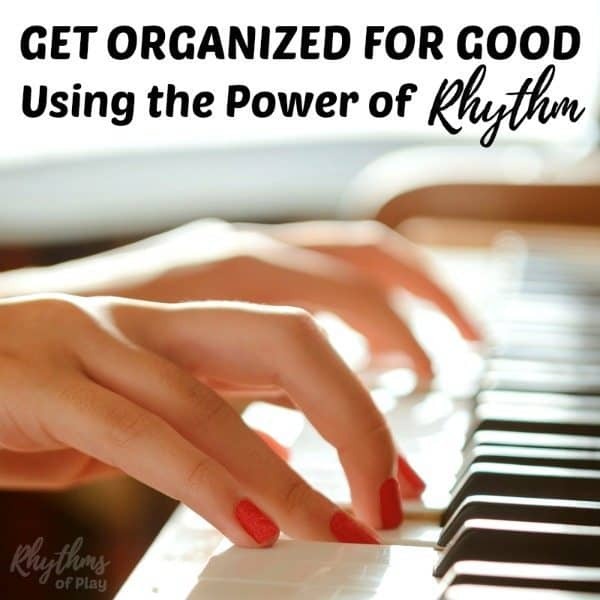 Are You Ready to Get Organized for Good with the Power of Routine and Rhythm? Click HERE to download your FREE Weekly Planner! 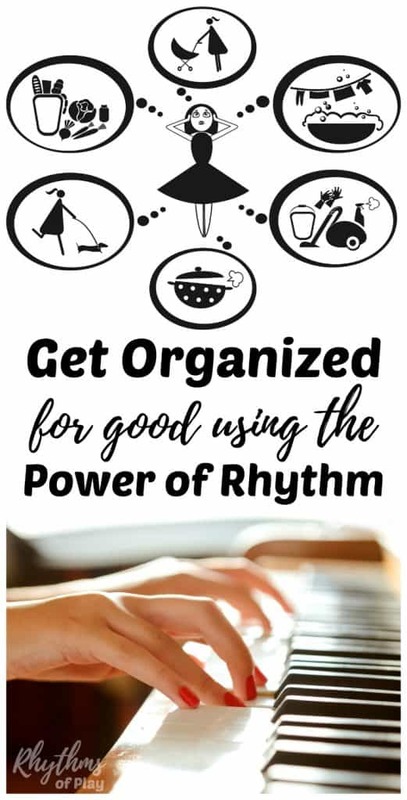 To learn more about rhythm and how to use your FREE PLANNER to get organized for good check out the following articles! Take your time creating daily routines and rhythms, and do your best not to get discouraged. It takes time and effort to establish new habits and establishing a rhythm is just one long daily and weekly habit. 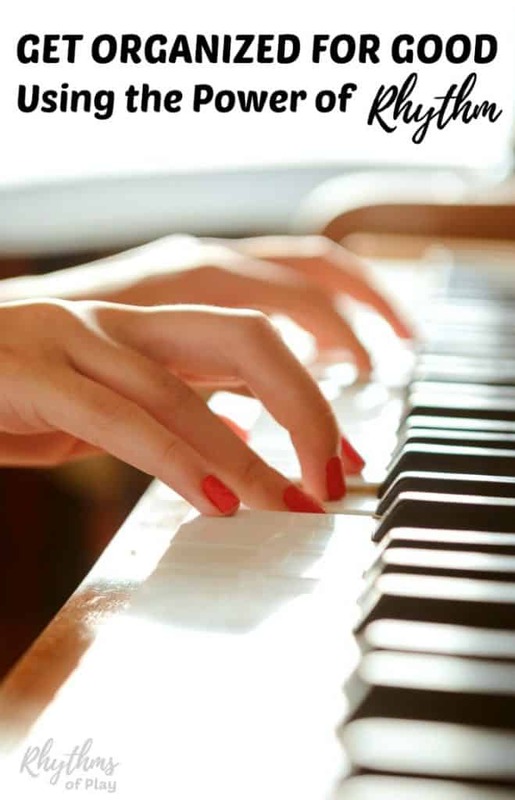 When your rhythm become a habit, it can support you on even the most challenging days. You may not know what to do next… but your rhythm will. Just fill out your Weekly Rhythm Planner, stay calm, and go with the flow. You’ll know when you have found your groove when you move easily through your day without having to look at what comes next or think about your next activity–this is true freedom! Creating a daily and weekly rhythm can help you get organized for good! Follow a daily rhythm to increase focus, get things done, and help the whole family find freedom within the structure of your every day.